Hasbro has released official photos of new items from Star Wars Celebration 2019. Included are: San Diego Comic-Con 2019 Exclusive Star Wars Vintage Collection Special Action Figure Set – Luke Skywalker 3-Pack Darth Vader Prototype Edition 3.75? Figure Empire Strikes Back 40th Anniversary Legacy Packaging – Boba Fett 6? Figure Disney Park 6? Scale Black Series Exclusive Sets Mountain Trooper, Kylo Ren, MSE Droid, Commander Pyre C-3PO, R2-D2, BB-8, DJ R3X Hondo Ohnaka, Porgs, Rey, Chewbacca Star Wars Black Series 6 ” Figures Obi-Wan Kenobi – Phantom Menace Chopper Ezra Bridger Dr. Aphra 0-0-0 BT-1 Star Wars Black Series Archive &#187; Continue Reading. The post Star Wars Celebration 2019 – Hasbro Official Images appeared first on The Toyark - News. Oooohhhh. 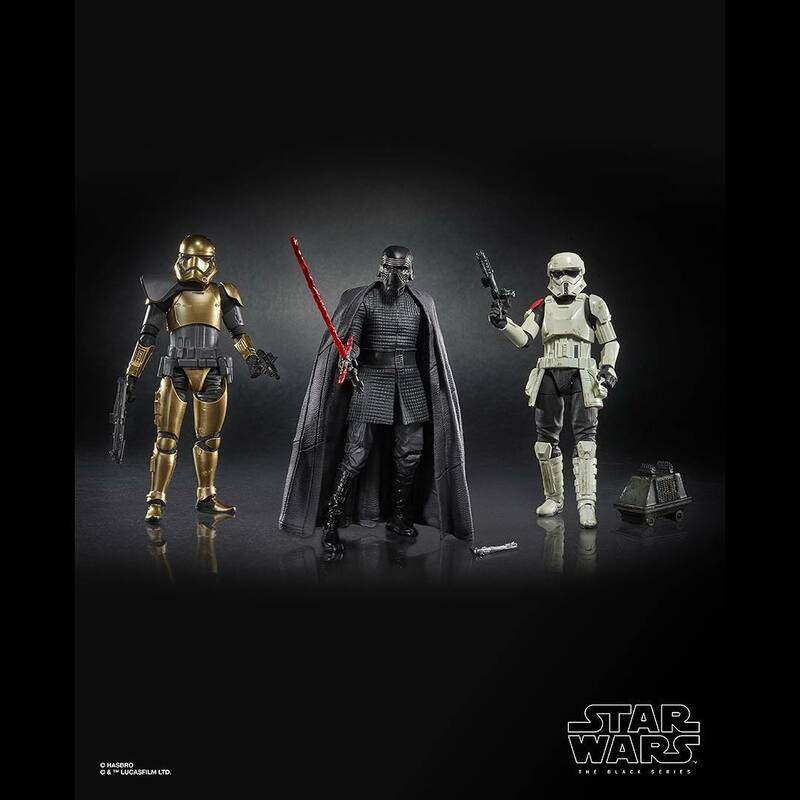 Another Black Series wave that I want 2/3 of but likely will never see in stores. Love Aphra and her psycho droids. Need that gang and young Obi.